The Environmental Justice Team at Lone Star Legal Aid welcomes you to the fourth edition of Environmental Justice News. We’re keeping communities updated on our team’s ongoing environmental law efforts throughout our 72-county service area. Lone Star Legal Aid Extern Aysia Mayo-Gray, a rising 3L from Texas Southern University, is putting her communication and advocacy skills to work this summer to investigate issues with drinking water quality in Marlin, Texas , located in Falls County in the Brazos River valley. Mayo-Gray has been working alongside the EJ Team this summer along with three other colleagues from TSU Thurgood Marshall School of Law. After hearing reports on the local news of concerns with the city’s drinking water, LSLA’s EJ Team developed a plan to investigate the complaints of one Marlin resident, Ms. Robinson, who "stirred up the pot" by voicing her concerns. 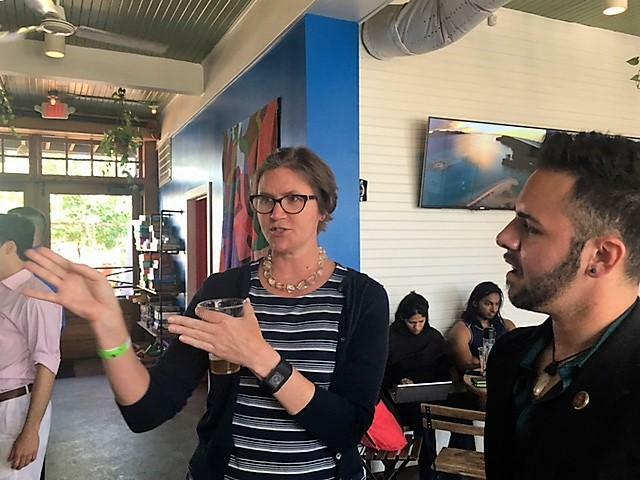 Partnering with the Environmental Law Clinic at the University of Texas School of Law, LSLA’s EJ Team reached out to residents in the community of Marlin to educate them about water quality issues and conduct a survey about their water quality. 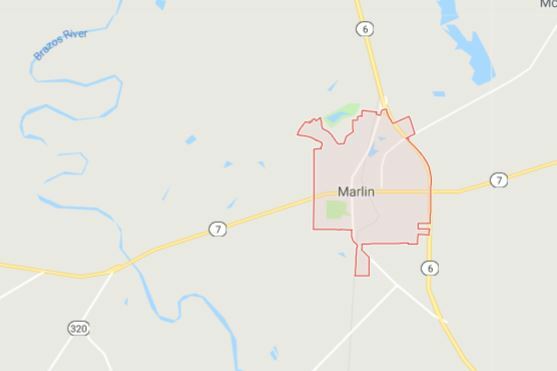 Initial results of the survey, representing various geographical points across Marlin, show there may be issues that warrant further investigation. Survey participants reported that their tap water has a foul smell, tastes bad, and is often discolored brown or yellowish. Some participants reported needing to run their tap for a long time to try to clear up the foul smell and discoloration. “We found that these residents have been experiencing issues with their water for a number of years - some for up to 20 years,” noted LSLA’s Mayo-Gray. In addition to feeling unsafe drinking their water, many of the survey participants reported feeling uncomfortable or unsafe using their tap water for other purposes such as bathing, cooking, washing clothes and even watering their plants. One respondent contracted a rash after bathing. Another participant reported that the water had killed their houseplants, as well as plants at a nearby restaurant. Nicknamed the Hot Mineral Water City of Texas, the City of Marlin has a documented history of water issues and compliance problems. In November 2015, residents were left without clean drinking water during the Thanksgiving holiday, as the city struggled to replace a clogged filter in its water treatment plant and repair a leak in the water system, taking nearly two months to fix. The loss of running water affected 6,000 community members including elderly residents as well as schools, businesses and nearly 2,000 inmates of the Texas Department of Criminal Justice system's Hobby and Marlin units. After the incident, the City of Marlin was cited by Texas Commission on Environmental Quality (TCEQ) with 12 violations and fined $15,510 for failure to properly monitor its municipal water system, failure to operate disinfection equipment or maintain proper chlorination levels, and failure to maintain in good working condition or even install the proper equipment needed to operate its water system. In 2017, the city was cited again by TCEQ. Violations included failure to meet the state’s Lead and Copper Rule (LCR) for safe drinking water standards. Due to the recent complaints made in May 2018, TCEQ has begun another investigation of the city’s water system. The agency was still in process with their investigation as of June 8 th . According to recent reports by the Washington D.C.-based Environmental Working Group and others, dozens of rural communities in Texas are threatened with unsafe drinking water. Many smaller rural municipal water systems have been found to contain illegal levels of radon, arsenic, and lead. UT Environmental Law Clinic fellow Loney pointed out that these contaminants are often naturally occurring in Texas, where contaminants can leach from the bedrock and soil into public groundwater supplies. “Small rural systems often don’t have the money or customer base to properly maintain their systems,” explained Loney. In an effort to improve its public water supply, the City of Marlin recently received a grant to enhance its system. "Yet, so many residents are still reporting problems,” shared Loney. "It's an interesting case." LSLA’s Environmental Justice team is representing Independence Heights Redevelopment Council in the community's efforts to save one of the oldest African American churches in Houston. Established 117 years ago as part of the first African American incorporated community in Texas, the historic Greater Mount Olive Missionary Baptist church in Independence Heights is in jeopardy of being demolished by TxDOT’s massive I-45 North expansion project, also known as the North Houston Highway Improvement Project (NHHIP). Not the first threat to its existence, the historic church was rebuilt and dedicated in 2016 after being destroyed by Hurricane Ike in 2008. A member of the Historic Black Towns & Settlements Alliance and Preserving Communities of Color , executive director of Independence Heights Redevelopment Council Tanya Debose has been actively working to preserve the rich history and cultural legacy of Independence Heights. 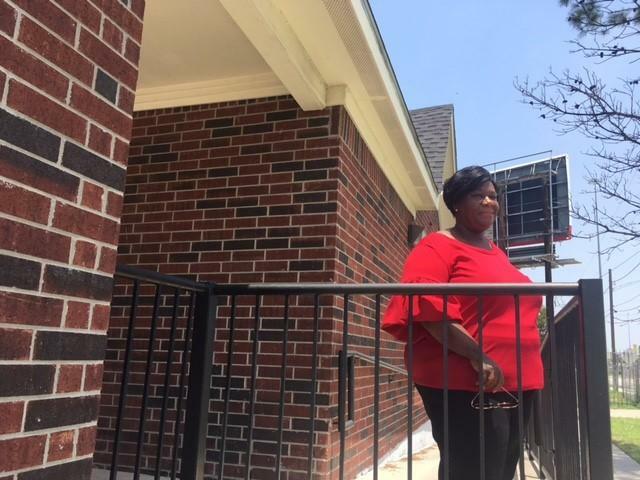 Facing threats to the historic church by the I-45 North expansion project, Debose's organization recently reached out to LSLA's Equitable Development Initiative team for legal advice on preserving the church, which Debose grew up attending as a child. In hopes of saving this cultural legacy, LSLA is conducting an investigation to determine whether the church is protected under NEPA Section 106 by establishing whether it meets the National Register Criteria for evaluation. Debose recently shared plans for a cultural and historic corridor featuring murals on seven churches flanking North Main Street in Independence Heights. Part of a national network of historic corridors through the Historic Black Towns and Settlements Alliance, the murals will tell the history of this community, which built itself up from nothing in the early 20 th century. “Churches played a key role in establishing communities,” shared Debose. Not only houses of worship, the church in the African American community historically functioned as “City Hall, community hub, movie theater, and as a place of shelter,” explained Debose. Greater Mount Olive Missionary Baptist Church served as an anchor for the East side of Independence Heights, protecting residents from natural disasters as well as human threats - including terrifying intrusions by the KKK. Black communities across the U.S. have historically been threatened and reduced through half a century of freeway construction and other infrastructure development projects that systematically divided urban communities, removed cultural resources, and left neighborhoods in neglect. Independence Heights has suffered multiple blows over decades of city, state and county infrastructure projects that have cut across the land and displaced hundreds of families through half a dozen buyouts, altering the map of the neighborhood. Debose's own family history reads like the history of those alterations. Her great-grandfather was displaced by the construction of I-610 in the 1950's, which cut through the south end of the neighborhood and shifted flooding from Sunset Heights (south of the freeway) into Independence Heights. Seeking to realign I-45 with I-69 along the east side of downtown, TxDOT plans to redirect of almost every interchange in the city, creating a massive widening of I-45 north of I-10 to I-610 as part of Segment 2 of the NHHIP. North Houston neighborhoods including Independence Heights, Near Northside and Northline are facing multiple threats posed by the project including impacts to affordable housing, cultural resources, connectivity, and mobility. At stake in Segment 2 is the projected loss of valued cultural resources including historic churches like Greater Mount Olive Missionary Baptist Church, as well as schools, childcare centers, and an esteemed culinary institute. The expansion also threatens to displace hundreds of residents living in areas already lacking affordable housing while property values continue to rise in these neighborhoods. After TxDOT published a Draft Environmental Impact Statement (DEIS) in April 2017, an alliance of community organizations called Coalition to Make I-45 Better formed around concerns regarding the expansion. The group submitted formal comments to TxDOT on the DEIS last summer. EJ Managing Attorney Amy Dinn has contributed to the coalition's analysis of projected environmental impacts to Houston communities. TxDOT has recently begun to release a series of draft technical reports on the expected environmental impacts of the NHHIP. Six reports remain to be released. Public comments are currently being accepted by TxDOT, with 30 days allowed for comments on each report. The agency has stated that substantive comments will be addressed in its final technical reports and in the Final Environmental Impact Statement (FEIS), expected to be released by the end of the year. 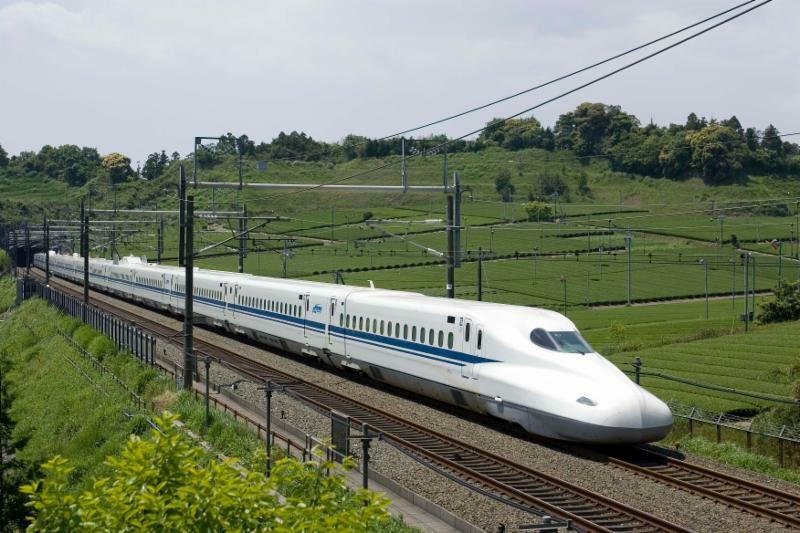 Texas Central Partners, a private company, has recently been developing plans to connect Dallas and Houston with a 200-mile per hour bullet train that would make one stop in the Brazos Valley between the two hubs. The 90-minute trip has been promoted by Texas Central as a safe, reliable and productive travel alternative that would reduce congestion by removing 14,630 vehicles per day on I-45 between Dallas and Houston. 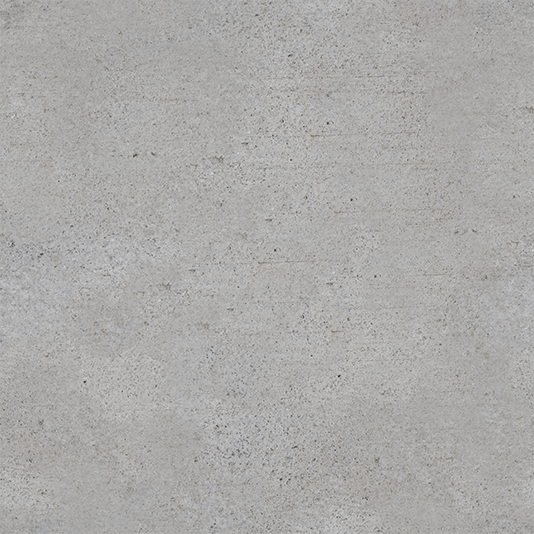 A privately-funded initiative, Texas Central would be responsible for the design, finance, construction, operation and maintenance of this public infrastructure system. In December 2017, a Draft Environmental Impact Statement (DEIS) was released by the Federal Railroad Administration (FRA) specifying the project’s expected environmental impacts as well as impacts of six alternative plans (Build Alternatives A-F). In an eight- page letter submitted to the FRA on behalf of Lone Star Legal Aid clients in March, LSLA’s Environmental Justice team uncovered a number of deficiencies in the DEIS, revealing a greater environmental impact to minority and low-income communities than has been accounted for in the DEIS. Build Alternative A is recommended as a preferred plan because of its comparatively lower impact to residential housing, commercial properties and community features than the other Build Alternatives. LSLA’s EJ managing attorney Amy Dinn described how these impacts would affect low-income and minority communities in LSLA’s service area including communities in Navarro, Limestone, Freestone, Leon, Madison, Grimes, Waller and Harris counties. The resident’s comments to the FRA outlined major impacts such as displacement, noise and vibration (including severe noise impacts to some communities), and traffic congestion and road construction problems, particularly along the 290 corridor in Houston as well as major thoroughfares in both hubs. LSLA noted deficiencies in the DEIS including an insufficient plan for addressing floodplain hazards and floodplain management, and the need for an analysis of vibration effects from construction on the project, which could affect 19 oil and gas pipelines located in Harris County alone. The comments also noted the DEIS is lacking a full analysis of the project’s indirect effects and cumulative impacts on low-income and minority communities, which is required for all major federal projects under the National Environmental Policy Act (NEPA). LSLA’s analysis showed that concentrated minority populations in smaller geographic areas, including those communities already suffering from other environmental hazards like higher levels of particulate pollution, have been overlooked in the DEIS. The environmental impacts of the project would affect these environmental justice (EJ) communities disproportionately, according to LSLA's analysis. For instance, low-income and minority residents in Leon County would bear 76% of the residential displacements in Segment 3 of the project (in Leon County), and 83% of residential displacements in Segment 4 (also in Leon County). Further, EJ communities in Segment 5 in Grimes County would bear 90% of the severe noise impacts of the project and 73.4% of the moderate noise impacts in that area. In February, LSLA presented on the proposed terminal options for residents of Houston’s Super Neighborhood 86 (Spring Branch East). For the largely preferred Northwest Mall Terminal Option, Dinn shared that this terminal would pose markedly less risk for hazardous waste remediation, while also providing an opportunity to revitalize the mall and create economic growth for the area. Closest to downtown Houston of the three terminal options, the Northwest Mall Terminal Option is also favored by Mayor Turner and the City of Houston, supporters of the bullet train. Recently, in an attempt to compete with a separate company’s bid for a 400-mile per hour hyperloop tube train that would make the trip between Dallas and Houston in just 6 minutes, Texas Central announced it has reached an agreement with Amtrak for joint ticketing through Amtrak’s reservation system, along with plans to interconnect the two rail systems with a shuttle service for nationwide connections. Texas Central is also considering adding stops in Arlington and Fort Worth. A Final EIS (FEIS) for the North Texas to Houston bullet train is expected to be released by the Federal Railroad Administration in the first quarter of 2019. The FEIS must address all public comments submitted on the DEIS. Texas Central expects that ground breaking will begin by the end of 2019 with construction taking an estimated 5 years, and hopes to have trains running by 2024. During the CEC Greater Houston Environmental Summit 2018 at the United Way of Greater Houston on August 10 th , EJ Managing Attorney Amy Dinn will discuss how to fight environmental hazards in Houston, and what LSLA has been doing to help communities in this fight. The Environmental Justice team will be an exhibitor at this event and hopes you stop by our table during the summit.